In each and every dancer there is defining moment when technique merges with Passion. You know. You’ve experienced this. Meet the man who has made capturing that moment his mission. Meet Joe Gaudet in interview specially for Dance Passion. Picture this. I’m in the audience of the Florida Superstars Dancesport Championships when I notice him. He is near the edge of the dance floor. His stillness exists in stark contrast to the feverish movement displayed on the floor. His eyes seem to be everywhere. His camera is in hand; the lens poised and ready. The photographer looks like a dancer himself with the tight physique of the U.S. Navy helicopter rescue crewman he once was. It is Joe Gaudet, an award winning commercial and wedding photographer who on this night is indulging in his greatest passion – ballroom and latin dance photography. Full disclosure. I have known Joe for many years as a Creative Director and Broadcast Producer. His wedding photography business is thriving and with good reason. The man is talented. But ballroom dancing? This is an area of interest that I was not aware we shared. Recently, I caught up with him and peppered him with questions. His candid responses appear below. Susan: Joe, you have stated that you have a “passion” for ballroom dance. How did that interest come about? Do you dance yourself, or is your interest strictly visual? Joe: I have to thank Sonja Ballin of “Designs by Sonja” in Pinellas Park, Florida, for introducing me to the world of ballroom and latin dance. She had approached me about shooting some of her dress designs. My favorite word in the English language is “passion.” When you see someone who is passionate about what they do, you can just tell. This is true in all things; people that are truly passionate about their work show it – often without trying. Maybe it’s their desire to succeed or their desire to create, but to the observer, it’s obvious. What they do becomes part of who they are. And when you can feel and sense that passion, you are drawn into their world. That is what I see, and what I am trying to capture when I am shooting dance. In the case of ballroom and latin dance, this passion is shared between a couple and often a coach. Together they are working toward a common goal: to win, to succeed and to improve. Dance is the embodiment of passion, and that’s really what I am trying to capture. All that you see and all that you feel. It is easy to see, but more difficult to capture. My goal is to capture not just what you see, but what you feel. I love to photograph dance for a number of reasons. I’ve been into physical fitness nearly all of my life, and I’ve always thought that dancers have the best bodies. I am mesmerized by the fluid movement of two dancers moving together in perfect harmony. Dance is an art form that is strikingly beautiful in every aspect, but as dance is always married to music, the combination creates two impulses on the senses. Susan: One of the things that attracts me to your ballroom photographs is the way you appear to capture the subject when he or she is at the peak of physical or even emotional vulnerability. Is that something you do intentionally? I believe this to be true, and I tend to be somewhat of a purist about it. I have never been a photographer that uses a camera’s motor drive to take multiple photos each second. I tried doing that while shooting sports when I was very young, and it took away much of the excitement and the challenge for me. I was no longer making the decision about when to take the shot. The camera was doing the work for me. And frankly I didn’t like that at all. That’s not how I learned to shoot, and I’m perfectly okay being old-fashioned about that. Otherwise, I am all about technology, but not when it comes to taking the decisive moment. I want to do that myself. So, when I’m shooting dancers on the floor I’m waiting and watching for that singular moment when I feel it’s the moment to take the shot. And when I feel it’s about to happen, I squeeze the shutter and take one photo. Hopefully, it’s the one. It often happens faster than you realize, so it takes quite a lot of practice to get the timing down. You have to account for those milliseconds between seeing and feeling, then pressing the shutter release. Susan: Is there a moment when you know you have the opportunity for a great shot? Do you wait for those moments hoping they will come, or do you shoot in hopes that you capture that split second of amazing? Joe: Yes, there are moments when I feel like the probability for a few great photos is high. But nothing is guaranteed. That’s because so many of the elements of what I am trying to photograph are out of my control. Except for the single flash unit on my camera, I do not set up any additional lighting. I cannot control where the dancers will be at any given moment, or where the judges will be standing, as well as just about anything else. But there are still key things that I look for, and when I see those things, I have a pretty good feeling about my opportunity to get good shots. I started out shooting only Pro-Am couples, and that was a good training ground for me. I still remember the first professional competition that I shot, and I remember thinking how the law of averages just skyrocketed. Serendipity is also one of my favorite words. If I had shot a professional dancesport competition first, I would not have been at all successful. I simply wasn’t ready. Even when I was ready, I remember the awful realization that my camera gear at the time was not good enough. I kept trying to capture the “decisive moment,” and I was constantly missing it. My gear was not fast enough. I would see the moment in my “mind’s eye” and even anticipate it. But within the one-half second that it took for my shutter to release, that moment was gone. It was infuriating, and it kept happening over and over. I remember leaving that competition thinking that was never going to happen again. Now I shoot with Canon’s most technologically advanced cameras, but I still only take one photo at a time. Susan: When you are shooting an event do you find a specific area of the floor to shoot from, or do you move around? What considerations are taken into account when selecting your vantage point? Joe: Ah! You have found my secret. Aside from the functions of my camera, what shot to take and when to take them, the location that I select to shoot from is everything to me. If I were told where to shoot from, my ability to get the shots that I want would be much more difficult, if not impossible. I cannot help but smile as I think about this because it’s the one advantage that I feel like I have over the many photographers shooting dance. So, of course I cannot give away my secret. But now that we’re talking about it, the cat still might step out of the bag. I mean, it’s not like I’m hiding when I’m shooting. Everyone can clearly see the location that I am shooting from, and it’s the only one I choose. It’s like that quippy response that I sometimes use: “I am the foremost expert of my own opinion.” It doesn’t mean where I choose to shoot is right for others, but it fits my style. Susan: Have dancers ever been distracted by your presence? Joe: I can say with some level of confidence that dancers are never distracted by my presence. I say that because of the number of times that they interact with my camera while they are dancing, which to me is just amazing. I see them give the camera a special look, which is not only an acknowledgment, but they know they are the show. And I mean that with the utmost respect. There is nothing better to me than shooting on the edge of the floor and a dancer turns quickly to give the camera a special look. Or they make a funny face then move on with such grace and poise. It’s as if it was all part of their routine. It totally amazes me, what they can do. I have an entire collection of dancers looking directly into the camera, in a way that is unmistakable. Susan: How do you approach shooting a pro dancer versus an amateur? Is there a distinction? Do you expect different results from these subjects based on their level? Joe: For me there is little distinction between shooting a pro versus shooting an amateur that dances competitively. My approach is certainly no different, however the difference that I see is that my ability to take good photos tends to go up somewhat noticeably when I’m shooting a professional or an advanced amateur. There are many talented amateurs in the sport of ballroom and latin dancing, and most are just as serious and just as invested in dancing as the pros that coach and teach them. It’s a great symbiotic relationship that exists, and it helps to grow the sport (art form) of dance so that everyone can get involved on some level. Susan: Are you hired to shoot specific dancers? Specific levels? If so, do they ask you to try and capture a specific part of the routine? Joe: I got involved with shooting dance for purely personal reasons – simply and purely for the love of it. Even up until now, there’s been no financial gain of any kind for me. I make my living as a professional photographer shooting weddings, families, portraits and more. But I have never charged anyone to shoot dance. I share some of the photos that I have taken with professional dancers, as well as a couple select designers that are seeking the quality of work that I provide. I have been offered money, but have thus far refused as that would be a violation of “goodwill” on my part. You see, the owners and promoters of dancesport events hire a team of photographers to shoot at each dance competition. The companies that shoot dance competitions often travel throughout the U.S. offering their services at major dance competitions nationwide, and that is great. I would love to do that. But the photographers at these competitions must take photos of each and every dancer, and those photos are then posted online and made available for sale. I have been offered the opportunity to do this, but that would mean a complete change in the style of shooting that I currently do. I could no longer be as selective as I am now, with regard to whom I choose to shoot, or not shoot. I could no longer take the risks of the often highly experimental methods that I sometimes employ. I would have to shoot in a slightly more restrictive style that would ensure a higher percentage of useable photos. That would take the passion away and the reason I am there in the first place. But I sincerely thank the dance competition owners and promoters, like Michael Chapman who allows me to shoot – knowing that I will not break the code of good conduct as a non-paid photographer. It would take a unique set of circumstances for me to take dance competition photos for pay. It would have to be one that allows me to shoot in the style that best suits the results I want to achieve, plus the ability to ultimately retain the rights to the photos that I take. But if the right opportunity presented itself, I would definitely be interested. Susan: Who makes the best subject? Joe: Movement makes the best subject! And everyone makes the best subject, because everyone has a unique story to tell. My tagline is: “Capturing the Heart of Life In Motion.” I thought long and hard before I settled upon that line. But it captures exactly what I feel about the life that I lead as a photographer and visual storyteller. I love telling the stories of other people. I love hearing their background, where they come from and what they have done to get to the point where they are right now. It is the story of their life, and I want to help them tell it – whether it is in the single frame from a photograph taken at “the decisive moment,” or a 10 or 30 minute video that encapsulates their entire life. My self-assigned goal is to be a visual storyteller. Susan: Have people ever commented to you that your photographs helped them improve or gave them confidence in their dancing? Have your photographs supplied the impetus for change? Do dancers use them as learning tools? Joe: I do not see the type of work that I do as being a learning aid. It should however, show something unique about the skills of anyone that I photograph. I seek to show people at their very best; not their finest hour, but perhaps their best split-second of a moment that shows everyone how incredibly talented they are. It takes a lot of hard work to be really good at something, and when I say something, I mean everything and anything. It’s hard work to be the very best. My greatest joy is when I can show someone how truly remarkable they really are. It’s not often, but occasionally I will take a photo that shows people at their pinnacle of awesomeness, and I love that more than anything! If it helps someone improve their self-image, all the better. Susan: What is your favorite venue to shoot? Is it a big competition such as Millennium or a private session? Joe: My favorite venue to shoot is one where there’s great lighting, with large white spotlights being employed to literally shed light on some of the best competitive international dancers in the world. At the moment that venue is Millennium, no matter where it’s being held (This year at the Orlando Hyatt Regency, June 20th – 25th). The Michael Chapman team does as good a job as any in the world when it comes to knowing how to organize, promote and sponsor a professional dancesport competition. He has also been instrumental in bringing some of the top professional dancers in the world to Florida for our enjoyment and entertainment. Wayne and Donna Eng, Larry and Diane Dean. American Ballroom Dance Company and others have also been instrumental in promoting and growing the level of interest in ballroom and latin dance throughout the U.S., and it’s thanks to the organizers that we’re able to take part in the sport and artform that we are all so very passionate about. I would just like to be along for the ride, to help in some small way – by capturing those decisive moments that are meaningful and everlasting. Susan: You have an impressive amount of experience as Creative Director, Art Director in television and film. 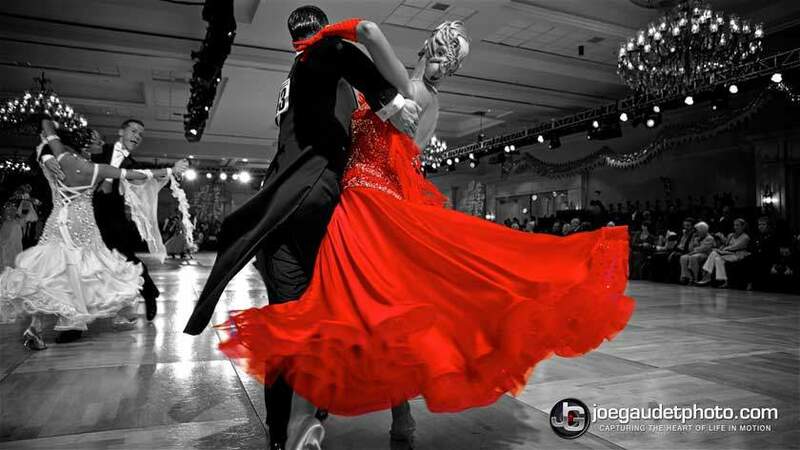 How do you apply that experience to your ballroom dance photography? Joe: I think that having experience in all artforms, as well as having a vast array of experiences in life can only help someone, no matter what they endeavor to do. I was a still-life and product photographer shooting regional and national ads in Dallas for several years. That level of focus, and pain-staking perfection taught me to look at the details. And as Creative Director for Shop At Home television network, I learned a lot about the corporate world, sales and marketing, and how to please a lot of people. I employ those tools on a daily basis. Joe: Sometimes it’s good to have the significant things in your life broken down to one singular defining moment. I look for those moments in the images I capture that express the passion dancers have for their craft. Dancers will not be young forever. At some point they may not have the opportunity to dance again. Significant moments in life are fleeting. I will have done something that matters if I can capture the singular defining moment – the expression and emotion of life – in a photo of their dance. This article was originally written by Susan Croudace who is a freelance writer for Dance Passion.